Understand your psyche in a clear and comprehensive way, and resolve deep-seated emotional issues. Self-Therapy makes the power of a cutting-edge psychotherapy approach accessible to everyone. Internal Family Systems Therapy (IFS) has been spreading rapidly across the country in the past decade. It is incredibly effective on a wide variety of life issues, such as self-esteem, procrastination, depression, and relationship issues. IFS is also user-friendly; it helps you to comprehend the complexity of your psyche. 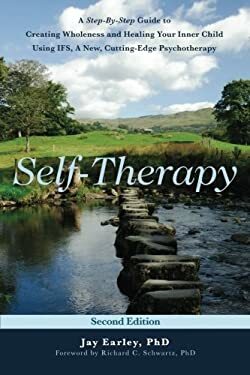 Dr. Earley shows how IFS is a complete method for psychological healing that you can use on your own.Self-Therapy is also helpful for therapists because it presents the IFS model in such detail that it is a manual for the method.This is the 2nd Edition of this book.